#Kingston, February 8, 2019 – Jamaica – A business delegation from Trinidad and Tobago is in the island for a four-day trade mission from February 5 to 8. 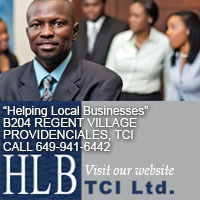 The team, being hosted by the Jamaica Chamber of Commerce, represents 10 companies involved in various sectors. These are construction, architectural services, food and beverage, agro-chemical, consumer and household products, software development, marketing and advertising. They will be meeting with members of public- and private-sector entities, as well as potential business partners, over the course of the visit. “Sadly, the facilitation of production integration and efficiency and, by extention, the competitiveness of member states have not fully been realised yet,” she noted. Senator Johnson Smith said the CSME must be fully understood and used optimally “if it is to achieve the economic gains for national development”. “The CSME is largely about you. It is largely about putting private sector at the front, at the centre and heart of regional integration,” she added. She noted that CARICOM Heads of Government, at a special meeting in December 2018, had underscored the importance of strengthening engagement with the private sector. 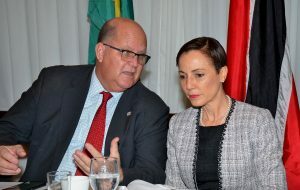 She said, further, that the Caribbean Business Council, aimed at promoting private-sector interest, will become an integral mechanism to ensure that the voice of the business community is heard. “It is important. Business is what will make this work. It is not a philosophical consideration or the bureaucratic mechanisms which will, at the end of the day, get us to where we want to go. It is businesses employing people, investing, trading and moving forward together that will make the difference ultimately,” she emphasised. Chief Executive Officer of the Trinidad and Tobago Chamber of Industry and Commerce, Gabriel Faria, told JIS News that the visit to Jamaica came at the request of members of the Chamber, who were keen on visiting Jamaica. “We wanted to come and meet with the different parties – JAMPRO, the Jamaica Stock Exchange and the Chamber here, so we could look at opportunities to further develop business relationships between the two countries,” he said. Mr. Faria said that the members are looking to network and expand their businesses overseas. “They are looking for opportunities to network and to create new partnerships. So some are smaller companies and by coming with the Chamber, we are able to help them to settle meetings. We are able to help them to network in an environment like this,” he added. Header: Minister of Foreign Affairs and Foreign Trade, Senator the Hon. 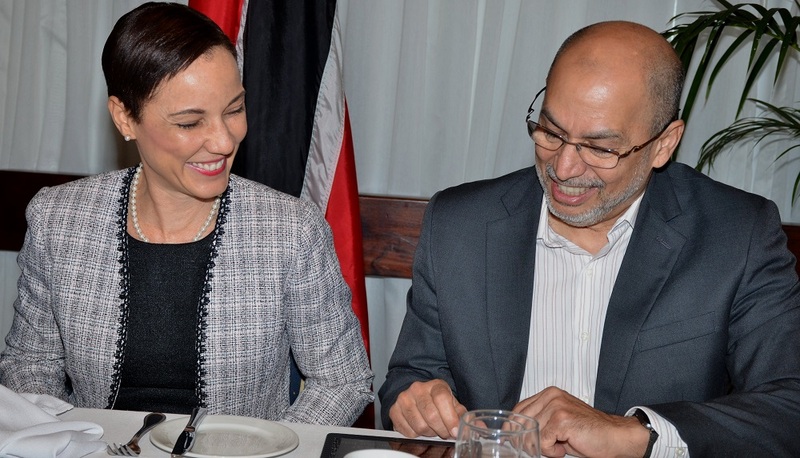 Kamina Johnson Smith, engages with Chief Executive Officer of the Trinidad and Tobago Chamber of Industry and Commerce, Gabriel Faria, at a ceremony on Wednesday (February 6) at The Jamaica Pegasus hotel, New Kingston, to launch the visit of a trade mission from Trinidad and Tobago. Insert: Minister of Foreign Affairs and Foreign Trade, Senator the Hon. Kamina Johnson Smith, listens to a comment from Immediate Past President, Jamaica Chamber of Commerce, Larry Watson, at a ceremony on Wednesday (February 6) at The Jamaica Pegasus hotel, New Kingston, to launch the visit of a trade mission from Trinidad and Tobago.